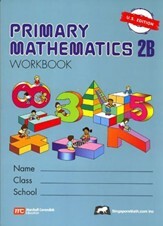 Singapore Primary Math Workbooks are consumable and should be used in conjunction with the textbooks. Containing the exercises the student does independently, workbooks provide the practice essential to skill mastery. A variety of exercises are presented, from pictorial to abstract. 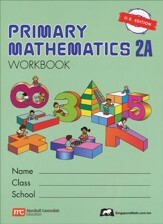 This workbook accompanies Primary Math Textbook 2A US Edition. 174 pages, softcover. Book 2A covers numbers to 1000, addition, subtraction, length, weight, multiplication, division, and more. 110 pages, softcover. Singapore Math Home Instructor Guides were created specifically to give homeschoolers' a teacher's guide that works in an individualized environment. Work on explaining concepts as you bridge the gap between the textbook and workbook with unit concepts, pages to reference, numerous reinforcement and practice exercises and detailed solutions laid out step-by-step. Suggestion-only timeframes for each unit are included, though not organized by "daily lesson", allowing the parent to determine how much time to spend on a particular concept. 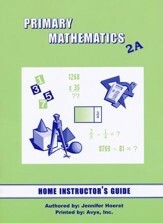 This Home Instructor's guide may be used for either the 3rd Edition or Primary Math Textbook 2A U.S. Edition. 150 pages, softcover. Singapore Primary Teacher's Guides provide a clear framework with each lesson accompanied by activities which expand and reinforce concepts. Teacher's guides will work for both teachers who wish to adapt lessons to their own classroom situation, and teachers who desire easy-to-follow, effective teaching strategies. Notes to the teacher and detailed objectives for each learning task are included to help instructors fully understand the purpose and concept behind each set of problems. The teacher's guide contains answers for the textbooks and workbooks. 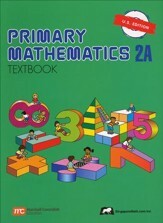 Books are designed to be taught by classroom teachers using either the Primary Math 3rd Edition or Primary Math Textbook 2A U.S. Edition. 137 pages, spiralbound softcover. This set of textbooks and workbooks is designed specifically for U.S. students. Names, terms in examples, measurement, spellings, currency and other such elements have been changed to reflect American names and stylistic preferences. Review included. 112 pgs, non-consumable and non -reproducible. Paperback. 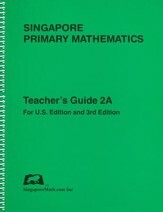 Singapore Primary Math Workbooks are consumable and should be used in conjunction with the textbooks. 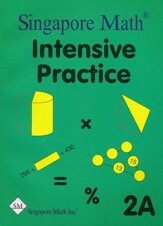 Containing the exercises the student does independently, workbooks provid the practice essential to skill mastery. A variety of exercises are presented, from pictorial to abstract. 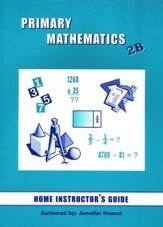 This workbook accompanies Primary Math Textbook 2B US Edition. 176 pages, softcover. Book 2B covers mental addition, subtraction, multiplication and division, money, fractions, time, capacity, graphs, geometry, shapes and patterns. 142 pages, softcover. Singapore Math Home Instructor Guides were created specifically to give homeschoolers' a teacher's guide that works in an individualized environment. Work on explaining concepts as you bridge the gap between the textbook and workbook with unit concepts, pages to reference, numerous reinforcement and practice exercises and detailed solutions laid out step-by-step. Suggestion-only timeframes for each unit are included, though not organized by "daily lesson", allowing the parent to determine how much time to spend on a particular concept. 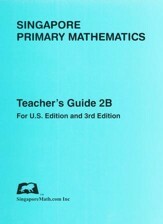 This Home Instructor's guide may be used for either the 3rd Edition or Primary Math Textbook 2B U.S. Edition. 170 pages, spiralbound softcover. Singapore Primary Teacher's Guides provide a clear framework with each lesson accompanied by activities which expand and reinforce concepts. Teacher's guides will work for both teachers who wish to adapt lessons to their own classroom situation, and teachers who desire easy-to-follow, effective teaching strategies. Notes to the teacher and detailed objectives for each learning task are included to help instructors fully understand the purpose and concept behind each set of problems. The teacher's guide contains answers for the textbooks and workbooks. 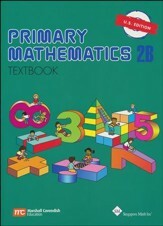 Books are designed to be taught by classroom teachers using either the Primary Math 3rd Edition or Primary Math Textbook 2B U.S. Edition. 146 pages, spiralbound softcover. Book 2 covers multiplying and dividing by 2,3,4,5 and 10; money; fractions; time; capacity; graphs; geometry; area; length; weight; renaming problems; place value and more. 100 pages, softcover. 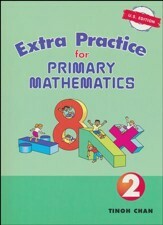 This extra practice book accompanies Singapore Math: Primary Math Textbook 2A US Edition" and Singapore Math: Primary Math Textbook 2B US Edition.